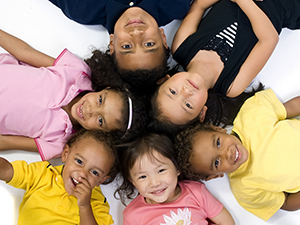 The Division of Developmental-Behavioral Pediatrics provides outpatient consultation and evaluation for children and adolescents (1 to 21 years old) experiencing developmental, learning or behavioral problems. Conditions treated include school difficulties, developmental delays, attention deficit hyperactivity disorder (ADHD), learning disabilities, autism spectrum disorders, Asperger's syndrome, anxiety (worries or fears), mood disturbances, tics and general behavioral concerns. Patients and their families complete a detailed questionnaire and information packet prior to their initial appointment. Appropriate assessments are conducted, and treatment recommendations are made. Care is coordinated with the child’s primary care physician or pediatrician, and follow-up visits are scheduled depending on a patient’s needs and diagnosis. Pediatric residents often conduct school observations to provide a more complete diagnosis of behavioral issues. Treatments include behavioral management and medication when necessary.